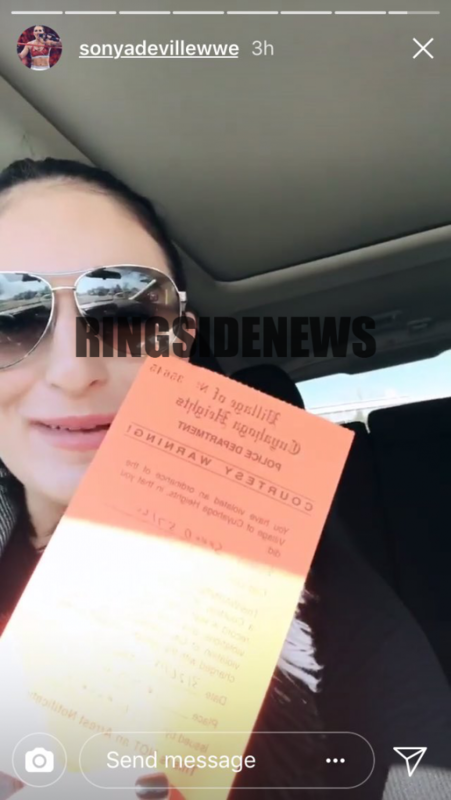 WWE Superstars Mandy Rose and Sonya Deville were pulled over earlier today in Cuyahoga Heights, Ohio. Ringsidenews.com is reporting that that the two members of Absolution were pulled over today for speeding while apparently traveling to Cleveland for tonight’s episode of WWE Monday Night RAW. No further details are currently known regarding the incident.